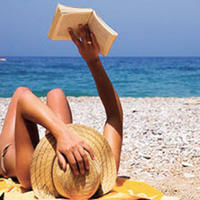 Best travel guides and books for hot summer destinations. Tips and information for the smart travelller who wants to get the most out of her precious time away. Guides that are small enough to fit in your hand bag and travel bags for easy access. A back up for when the batteries run out on that ipad or phone. A girl's got to have options. Information on Bali, Greek Islands, Fiji, Australia's Tropical North, Italy, France; the most popular holiday destinations for Sequins and Sand Holiday Girls. Enjoy yours! We'll keep adding more as we can get hold of them. If you have any suggestions, we'd love to hear them. Just Contact Us and let us know. Have a wonderful summer holiday girls!